Emilio Gino Segrè was a well-known Italian-American physicist. He was jointly awarded the ‘Nobel Prize in Physics’ in 1959. This biography profiles his childhood, life, research career, achievements and timeline. 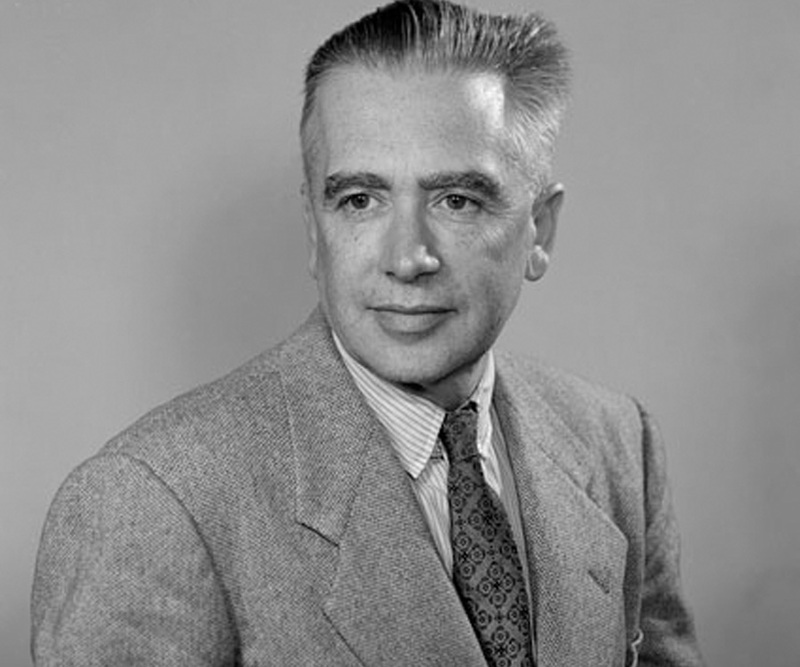 Emilio Gino Segrè was a well-known Italian-American physicist. He was jointly awarded the ‘Nobel Prize in Physics’ in 1959 with American physicist Owen Chamberlain for their discovery of a sub-atomic antiparticle called antiproton that bears equal mass like a proton but is opposite in electrical charge. 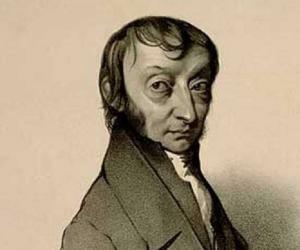 He served ‘University of Rome’ as an assistant professor of physics and eventually became one of the Via Panisperna boys. 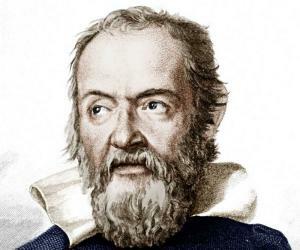 For a couple of years he served ‘University of Palermo’ as Director of the Physics laboratory. He visited ‘Berkeley Radiation Laboratory’ in Berkeley, California, following which a molybdenum strip from the lab's cyclotron deflector was sent to him that was discharging anomalistic type of radioactivity. Segrè conducted a thorough analysis and proved that a part of such radiation was being generated by an artificially synthesized element dubbed as technetium, thus discovering the new chemical element. After being dismissed from ‘University of Palermo’ by Benito Mussolini's fascist government that passed the anti-Semitic laws restricting Jews from holding university positions, he joined ‘Berkeley Radiation Laboratory’ as Research Assistant. There he aided in discovering the astatine element and also the plutonium-239 isotope that was utilised in development of Fat man atomic bomb, which was dropped on Nagasaki, Japan. He headed ‘Manhattan Project’ at the ‘Los Alamos National Laboratory’ from 1943 to 1946. Meanwhile in 1944 he became a naturalised citizen of America. Thereafter for over two decades he served as professor of physics and history of science at ‘University of California’, Berkeley. He was born on February 1, 1905, in Tivoli, Italy, as the youngest of three sons of Giuseppe Segrè and Amelia Susanna Treves. His father owned a paper mill. He attended ginnasio in Tivoli, and thereafter ginnasio and liceo in Rome where the family relocated in 1917. In July 1922 he completed graduation from Ginnasio Mamiani, Rome. 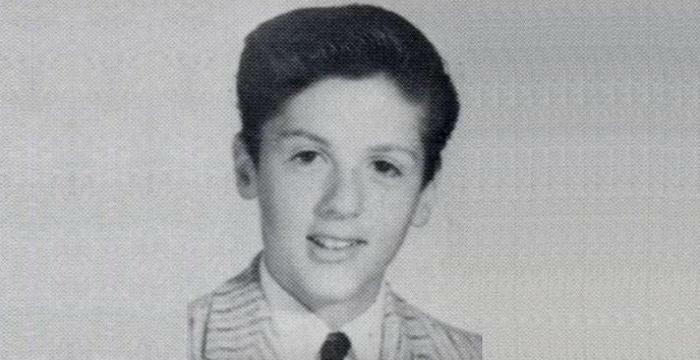 He then joined ‘University of Rome La Sapienza’ to study engineering. In 1927 he got to meet physics professors Enrico Fermi and Franco Rasetti, who were in search of brilliant students. Segrè also attended lectures of eminent physicists at Volta Conference in Como in September 1927. With the help of Orso Mario Corbino, director of the Institute of Physics at ‘University of Rome La Sapienza’, he took transfer to physics. He joined group of Enrico Fermi that included other notable students like Ettore Majorana and Edoardo Amaldi. The group soon earned nickname ‘Via Panisperna boys’, named after the street where the physics institute was situated. In July 1928 he obtained laurea degree submitting thesis on ‘Anomalous Dispersion and Magnetic Rotation’ working under Fermi. From 1928 to 1929 he served Italian Army’s anti-aircraft artillery as a second lieutenant. Segrè and Edoardo Amaldi published a paper ‘On anomalous dispersion in mercury and in lithium’ in 1928 and another on Raman Effect in 1929. 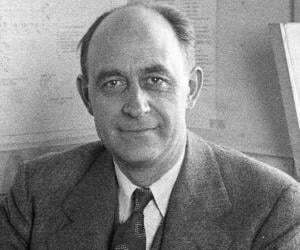 With the aid of Fermi, he received a Rockefeller Foundation fellowship and chose to study under German physicist Otto Stern in Hamburg, Germany. In 1932 he was appointed by ‘University of Rome’ as assistant professor of physics, a post he served till 1936. In 1936 he joined ‘University of Palermo’ where he served as a professor of physics and also became director of the Physics Institute. That year he visited ‘Berkeley Radiation Laboratory’ founded by eminent American nuclear scientist Ernest O. Lawrence. There he got introduced to many American scientists like Franz Kurie and Edwin McMillan. He was fascinated by the radioactive scrap metal which was once used in the lab’s particle accelerator, cyclotron discovered by Lawrence. A molybdenum strip of cyclotron deflector was sent to him from ‘Berkeley Radiation Laboratory’ by Lawrence in February 1937. It was discharging anomalous radioactivity. Segrè along with mineralogist Carlo Perrier conducted thorough theoretical and chemical analysis and proved that a part of such radiation was being generated by an artificially synthesized chemical element and thereby discovered the first such element not found naturally. They named it technetium in 1947. Following passing of anti-Semitic laws by Benito Mussolini's fascist government restricting Jews from holding university positions, Segrè was dismissed from ‘University of Palermo’. He accepted offer of Lawrence to work at ‘Berkeley Radiation Laboratory’ as a research assistant. There he isolated metastable isotope technetium-99m along with Glenn Seaborg, which is at present annually applied in around 10 million medical diagnostic methods. He collaborated with Chien-Shiung Wu and Alexander Langsdorf, Jr. to discover the neutron-absorbing nuclear poison xenon-135 that has an important effect on nuclear reactor operation. He along with Kenneth Ross MacKenzie succeeded in isolating a new element, presently known as astatine. Collaborating with Edwin McMillan, Arthur C. Wahl, Joseph W. Kennedy and Glenn Seaborg, he created plutonium-239, primary fissile isotope applied in the development of nuclear weapons, in 60-inch cyclotron of the lab in December 1940. As the Japanese attacked Pearl Harbour on December 7, 1941, that led to entry of the US in Second World War followed by US declaring war against Italy on December 11, Segrè was marked as an enemy alien. Contacts with his parents were cut and he was delegated to teach students. During this time he built good rapport with many of his students including Clyde Wiegand and Owen Chamberlain. From 1943 to 1946 he worked at the ‘Manhattan Project’ at ‘Los Alamos National Laboratory’. He headed the P-5 (Radioactivity) Group of the lab. He was given a cover name, Earl Seaman for security purposes. His group was delegated for measuring and documenting radioactivity of different fission products. In April 1944 he discovered that the suggested plutonium gun-type nuclear weapon, ‘Thin Man’ would not function due to existence of plutonium-240 impurities. R-4, the then group of Segrè was assigned to measure gamma radiation from the Trinity nuclear test that was conducted on July 16, 1945, by the US Army. In early 1946 he returned to Berkeley and joined ‘University of California’ as Professor of Physics. Thereafter he joined ‘University of Illinois’ at Urbana–Champaign and after working there for few years returned to ‘University of California’ Berkeley in 1952. 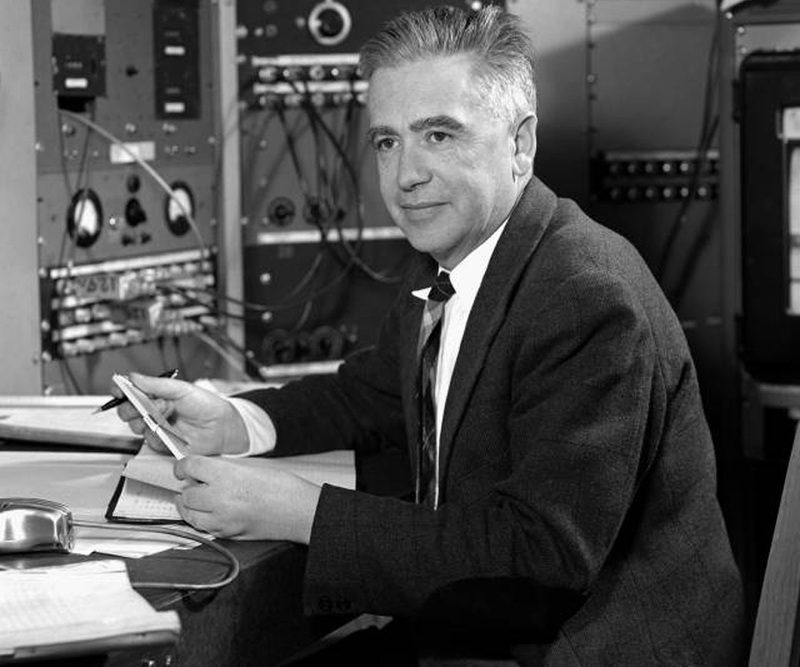 In 1955 he worked with Chamberlain, Ypsilantis and Wiegand and applying the bevatron, a particle accelerator at the Berkeley Lab, discovered antiprotons on September 21 that year. From 1961 to 1965 he served the Budget Committee of ‘University of California’ Berkeley and remained chairman of its Physics Department during 1965-66. He reached compulsory retirement age of the university in 1972. Post retirement he continued to teach history of physics. 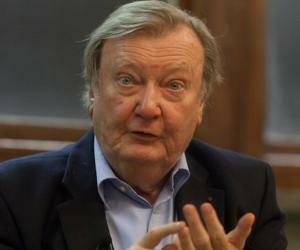 For a year from 1974 he worked as professor of nuclear physics at ‘University of Rome’. 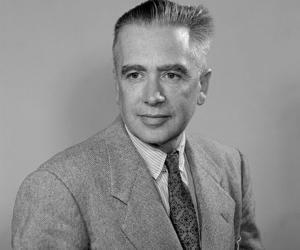 He authored books like ‘Experimental Nuclear Physics’ (1953); ‘Nuclei and Particles’ (1964)’ and a biography ‘Enrico Fermi: Physicist’ (1970) among others. On February 2, 1936, he married Elfriede Spiro, a Jewish woman from West Prussia, who immigrated to Italy following the rise of Hitler in Germany in 1933. Of their three children, Claudio and Amelia Gertrude Allegra were born in 1937 while Fausta Irene was born in 1945. After the death of Elfriede in October 1970, he got married to Rosa Mines in February 1972. On April 22, 1989, he succumbed to heart attack in Lafayette, California and was interred in Lafayette Cemetery. He was an enthusiastic photographer and many of his photographs that document events and people with regard to history of modern science were given to ‘American Institute of Physics’ after his demise. The photographic archive of physics history of the institute is named in his honour.